I'm not sure where to start here, iv only just read this report from the HSE after their consideration about whether or not to include it in our LTI Scheme ( Long term Illness ) which would have meant people injecting insulin with type 1 or type 2 diabetes could have had access to the Iport for injecting their Insulin. It's distressing, upsetting, and condescending. YES I said CONDESCENDING ! To read this report. 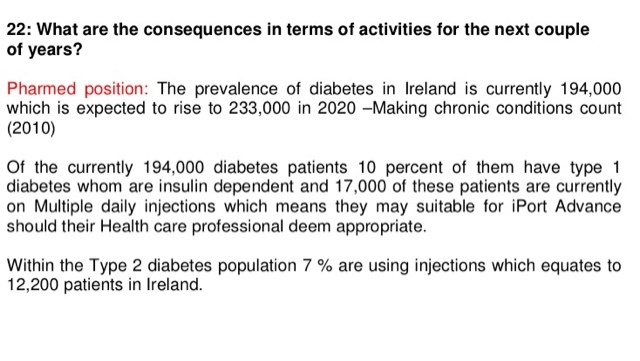 While reading through this document I found myself realising that people in offices, obviously NOT injecting insulin every time they eat something and then injecting again to correct because the last injection didn't quite do the job. I say condescending because they are presuming to know better than someone who actually lives a type 1 diabetic life all day and night, every day and night. Instead of sticking a few people / children on it as a trial why on earth did they not just ask those clearly using it ? O Ye, that's because those buying it and using it would say they find it extremely beneficial, for both control and for comfort purposes. When we get to hospital sick, the first thing they do is insert a cannula IN CASE they need to administer drugs, in many cases this is both a waste of time and a waste of money as it's not always needed. Injecting diabetics are GUARENTEED CUSTOMERS who will always need to inject so it's never ever a waste of time or money. 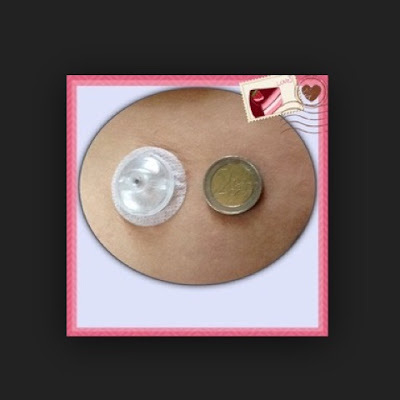 Injecting insulin several times a day means breaking skin each time we inject. 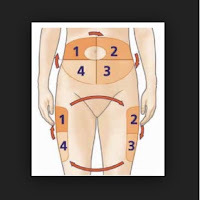 We are advised to rotate the sites we inject into, in order to avoid Lipohypertrophy ( lipos - a build up of insulin in the injection site which causes a lump and effects of blood glucose control ) but even though we follow all the advice and instruction there seems to be no getting away from the general trauma to the areas we inject to. 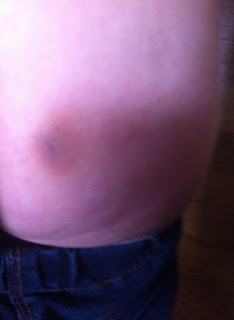 Unsightly bruising left as a tell tale sign that we'v injected in that spot would be all too obvious if we wear clothing that doesn't cover it. Children or indeed adults can have a fear of the injection / needle making it all the more traumatic. Sometimes when we inject a drop of blood will appear, that will mark or stain clothing so wearing white especially if we are going out, is something to be considered before we dress. 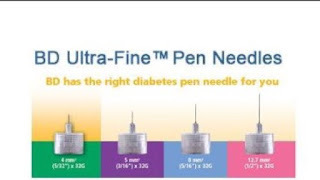 But how many of us know that injecting correctly, rotating correctly and using a right kind of needle tip on your pen can all lead to tighter blood glucose control, less trauma and less insulin injected, as correction injections can be less frequent. Do we inject for a life with little trauma and bruising, less pain and stinging or burning when we inject some insulins ? Needle technology has come a huge distance from the earlier days of filing and sharpening a needle for further use, ( yes this actually was the case ). Yes a lot of us have attended a carbohydrate ( carb ) counting course, but Have you ever attended a talk about injecting correctly ? Do you prime your pen when you switch to a new one ? Do you prime before injecting ? How do you know your getting insulin if you don't prime ? What size needle tip are you using to inject ? Is it bigger than a 4mm or 5mm ? Why ? Unfortunately we all have different opinions on the above points, mostly based on what we'v been told, but just allow yourself to employ logic for a while. It's your life, your body, your type 1 diabetes. I always think the worse thing we can do, is just do as we are told, without also helping ourselves by doing a little homework too. SUMMARY OF NEW INJECTION RECOMMENDATIONS AS TAKEN FROM BD's WEBSITE. Initial therapy should begin with shorter pen needles. There is no medical reason for recommending pen needles longer than 6 mm. 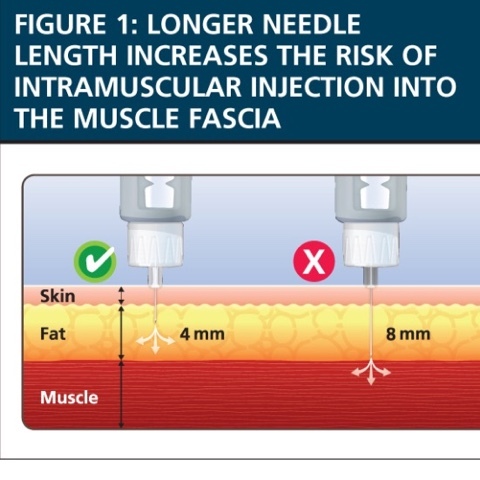 A 4 mm pen needle may be inserted at 90º without pinching up the skin. 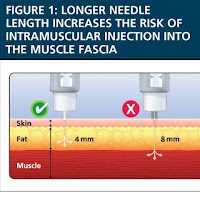 Slim individuals may need to pinch up, especially when using a 5 or 6 mm pen needle. Patients should count slowly to 10 before withdrawing the pen needle from the skin in order to get the full dose and prevent leakage. Counting past 10 may be necessary for higher doses. 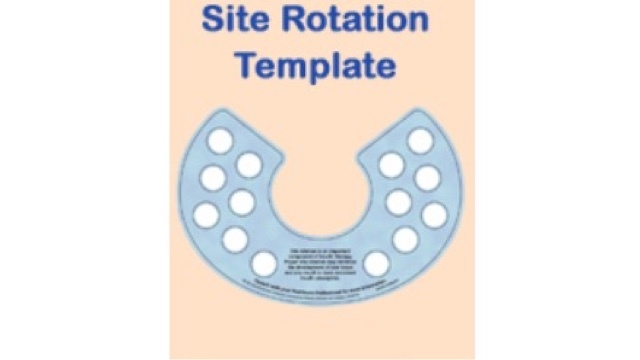 To safeguard normal tissue, consistently rotate injection sites. Use pen needles only once and dispose of after use. The depth of injection (shallow versus deep subcutaneous tissue) does not appear to affect the absorption or pharmacokinetics of insulin. 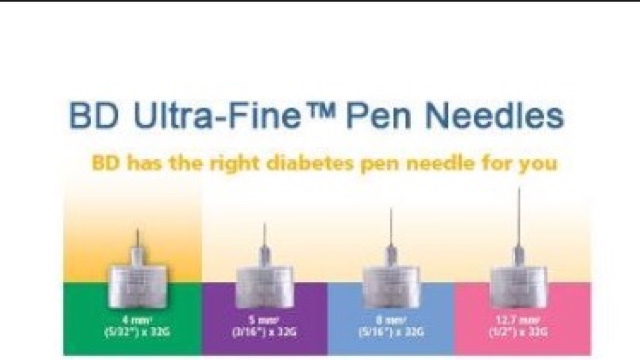 No consistent evidence of increased leakage of insulin in patients using short needles. 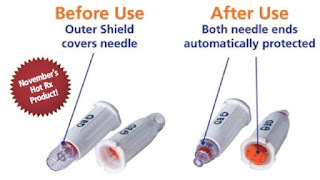 For those with a needle phobia, your GP can request the auto shield, and your pharmacist can provide and fill out the necessary forms to request this be included in your LTI, it's not generally included but can be applied for. There's no doubt that wearing an iport advance solves these problems as rotation is not an issue, Just remove the one we wore for 3 days and pop the new one on the other side or in a different position. Trauma is less of a problem as we would only pierce skin every 3 days, after removing the iport the only tell tale sign that one was there would be the Dot where the cannula had Been and maybe some sticky on the skin which is easily removed. That drop of blood that can stain clothes would not be an issue any more. 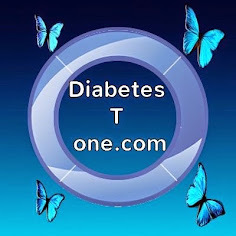 Blood glucose testing generally gets a better result because every drop of insulin has been delivered even the familiar drip on the end of our pen needle, is no more. However the latest news from the Health Service Executive ( HSE ) is that this in NOT included in the list of supplies covered on our Long a Term Illness ( LTI ) scheme at the moment. Buying it can end up being quite costly at €195 per month. That said it is undoubtedly effective. 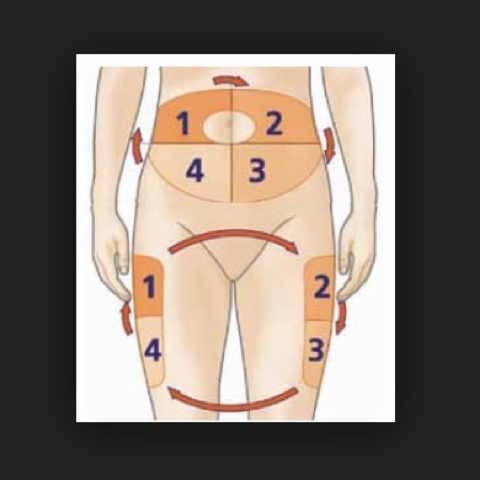 It could be seen as a stop gap between injecting and pumping insulin, sort of a half way house between the two for those on multiple daily injections (MDI) . But employing logic here for just a moment. When we end up in a hospital for a few days the very first thing they will do is position a cannula some where on your body. This presumably allows the nursing staff to administer medications & drips without delay. It means for our stay with them they just inject what ever is necessary directly into a cannula instead of flesh every time. 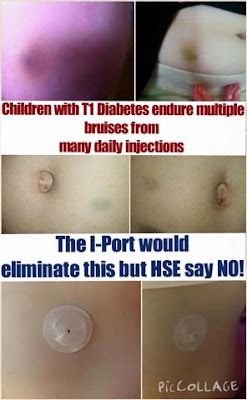 Yes I know this goes into a vein, BUT then we have a situation where a type 1 diabetic is injecting several times a day into flesh, why is there no cannula. 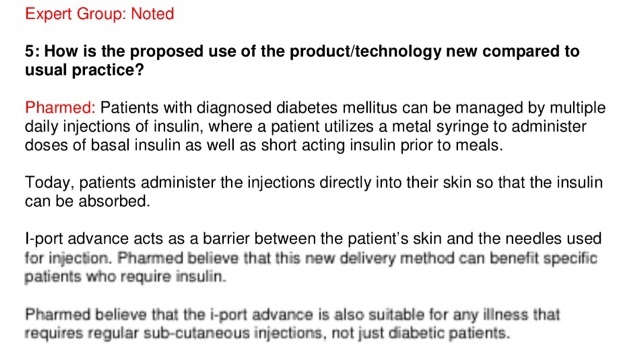 Using the same logic I'd have to ask, why on earth we don't have access to some form of cannula, just like a type 1 on an insulin pump would have. Yes in my mind this defies logic ! NO, I'm not a professional, just a type 1 diabetic with an opinion.